I was born at Great Expecations! Here’s Shad and his family showing off the outfit his mom created. As you can see Amber is very talented both in developing great kids and t-shirts. I’m very proud of of all her efforts!!! I showed my 7 month old granddaughter this picture and got a HUGE HAPPY SQUEAL of approval. 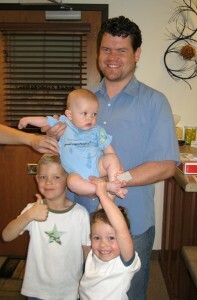 …will be shown together on June 13, 2009 from 8am-2pm @ Towne Cinema Theatres in American Fork. Debra Pascali-Bonaro, producer of Orgasmic Birth, will also be attending as a Special Guest Speaker. Tickets are $25. See www.doulamelissa.blogspot.com for more details, or email moviescreening@rawmelissa.com if you have any questions. 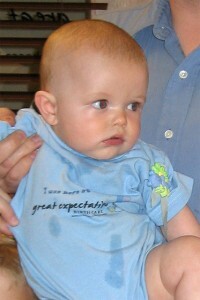 You are currently browsing the Great Expecations Birth Care blog archives for June, 2009.